Most great ideas for enhancing corporate growth and profits aren’t discovered at your research center or by brainstorming in the conference room but come from employees who regularly face setbacks, serve customers, explore new markets and defend competition in an idea management system. 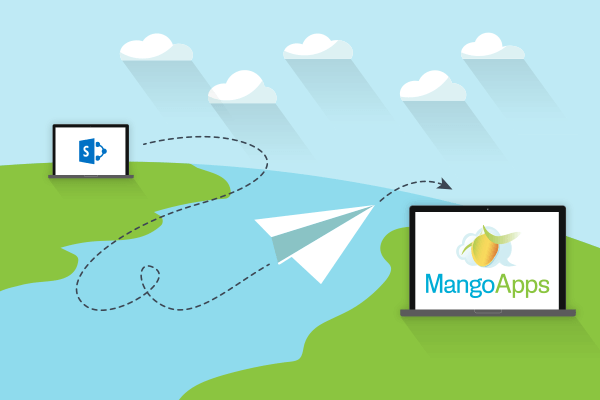 A well designed, innovation management platform, like MangoApps, can help empower anyone to submit, comment and refine an idea. Here are a few best practices to encourage and inspire employee ideas. You may not have the time to sit around and discuss ideas that lead to business innovation, but an innovation management platform creates a space in for employees across the organization to exchange ideas, vote, collaborate and contribute to ideas. Eureka moments can happen anywhere! It’s essential to involve all employees in the idea creation process. Every employee brings their own unique perspectives, and developing ideas together helps build brand loyalty and employee engagement. At any company, innovation typically grows from ideas planted by the senior management and employee efforts to make those ideas a reality. Idea discussions should be open conversations where everyone is involved, on the same page, and working together. Employees have an incredible potential to provide outstanding insights and ideas about organizational practices, customers and broader business goals. Employees need to be motivated, involved and participating in the idea process. They can’t be forced to reveal their thoughts, but they can be pulled into the innovation management process by making it transparent and more meaningful. Idea campaigns are a proven way to capture hundreds of ideas, improve productivity, cut costs, and drive improvements from the bottom up in a short time period. The more diverse your participant pool, the more diverse and creative your ideas and idea campaign will be. Try to promote your idea campaigns to as many eligible participants as possible. Remember, if people do not know about your ideas campaign, they will not participate. Collaborative effort between management and employees can help build stronger relationships with employees. Boost employee understanding and engagement by giving employee ideas visibility through leaderboards and encouraging peer-to-peer awards for good work. In encouraging, supportive and engaging environments ideas to become realities. Transparency and honesty are the key to creating a culture of innovation. It’s important that employees understand what their peers are working on and feel comfortable sharing knowlege, ideas, and constructive feedback. Using social collaboration platforms can be helpful in this effort as well by providing employees with a platform to share innovative ideas that might otherwise go unnoticed. Employees need to understand how their ideas can contribute to an organization’s success. This means that they have to believe in its overall purpose and values and be given the resources they need to implement its success. Developing and maintaining an effective reward and recognition system is a key aspect of maintaining and encouraging innovation. Employee reward and recognition systems are not just a positive thing to do with employees, but a way of encouraging future efforts, show employees you care and celebrating their success. You hired the people who work for you because of their talent and skills, and today is the day to start putting all of that talent to use in new and innovative ways. Start now and you will be well on your way to taking your organization to the next level.